We do want police to do something about traffic safety. But why are they reactive only instead of proactive? And why is it every reaction is simply the showiest thing they can do, and worse yet a reaction that often makes the problem worse? A few days ago a van passed at high speed in a no passing area without looking and hit a taxi nearly head on and the result was predictable. Police were quick to respond on media about how they cant be every where all the time. But we have long asked them police the roads. Has a single moving violation offense been issued to any driver in the last five years that didnt happen as a result of AFTER an accident or for tint or other non moving violation? Has there been a single reckless driving, dangerous passing, or speeding ticket been issued by police in the last 5 years? We kind of doubt it. 1) Our police don’t know how to safely operate a traffic stop. This has been repeatedly demonstrated. Its only a matter of time until they themselves cause an accident. 2) There was a serious accident due to an illegal high speed passing van. Several tourists and locals were injured and had to be extracted from the vehicle. NEITHER driver was charged for not having a license or insurance. YET the response was to set up a road block just days after at the very site of the crash and check drivers for licenses and insurance. 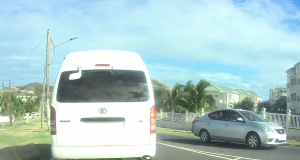 Security camera video of the van passing recklessly just prior to impact is available here. So what did police do? Did they look for speeders, or start to police the worst offenders who are the busses with H and HA plates? No.. but they were out performing their best security theater. At the very site of the original accident! Take a look at the pictures and please answer some questions for us. 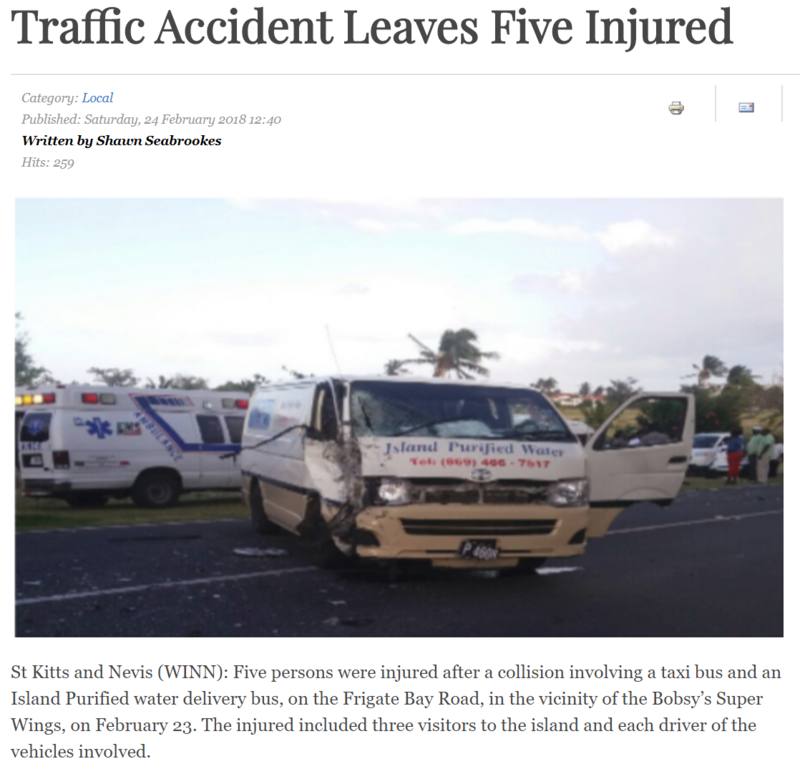 Was the driver of the van unlicensed? If so, why are we all being stopped and delayed now on this busy road to ask for our drivers license and insurance? Why this spot? Why not do something real about it instead of just more show that will only last a few days anyway? Don’t you think its a bit dangerous in itself to back up traffic INTO the round about? I wish this were the first time this had happened, or the first time we even noticed it. But this is very dangerous in itself – who will take responsibility for an accident caused by this? Will the police take any responsibility when someone gets hurt because they don’t know how to conduct traffic stops in a safe manner? Unfortunately this is very much like Traffic’s response. Do something, something that is visible but actually accomplishes nothing. Or in this case, the effects it has are even worse than nothing. If this is what they can do, better if they stay at the station and not cause more wrecks. Maybe after they cause an accident in the round about from backing up traffic, they can set up another roadblock in the round about because you know – there was just an accident there….. Stuck in the round about with cars stuck behind me too. Single late, checking drivers for car insurance and licenses. Cars backed up into round about again.